Another comfortable stay. Absolutely no problems. Will be back! Thank you for a very comfortable holiday in a peaceful area. The barn owl performed for us! Lovely spacious kitchen/dining area and lovely big sitting room. Just to comment on the garden; it was very well equipped with garden furniture. Our third visit to the area. Absolutely love it. First visit to the cottage. Good location. Cottage very spacious and cosy. Lovely big garden. Had a wonderful stay. Every day jam packed with activities. Brancaster beach is our favourite but every beach is lovely and dog friendly. Jolly Sailors pub great for families and dogs. Brancaster Staithe good for crabbing. We have stayed here several times and very much enjoy it. We like The Duck Inn and the fact that we can walk our dog around the field at the front of the cottage. 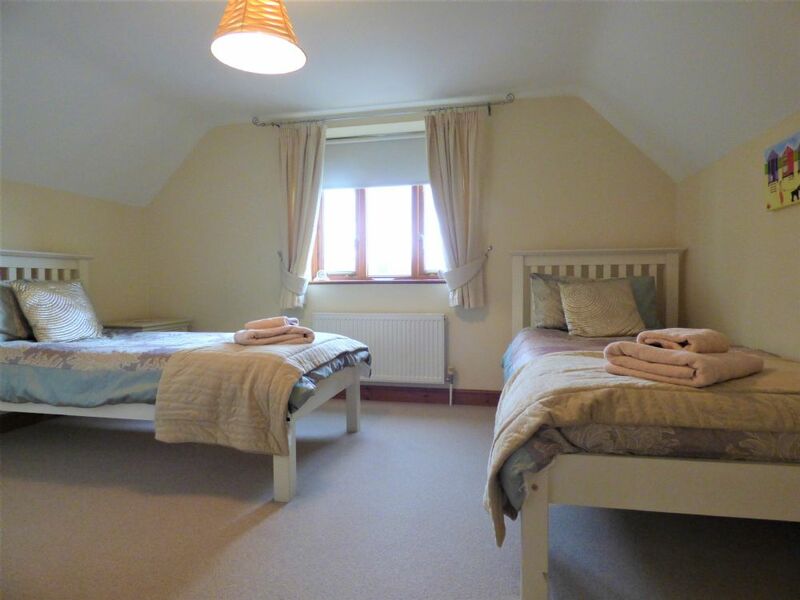 The cottage itself is a relaxed and comfortable place to stay. We had a fantastic break in your lovely holiday home. We went to Wells, Holkham and Burnham Market. We will definately come back again. Would recommend hiring bikes out at Holkham HAll, great for adults and children. We enjoyed the cottage very much. Harry and Fudge loved the garden. Comfortable , home from home, well equipped. Best cottage we have ever been in. Spotlessly clean, broadband great. Definately would like to come again. Quiet and relaxing. Our second stay at The New Cottage. Lovely accommodation roughly 20 minutes from everywhere we wanted to be. Another great stay made even better by the weather. Food at The Duck Inn good as ever. Hired a boat at Wroxham and spent 2 few hours on the Broads. Wonderful experience. Thanks for a very comfortable stay. Am sure we will be back. Peaceful location, comfortable and convenient for the Duck! This was our 5th time at the cottage, suffice it to say we like it! Loved this cottage it really was like home from home. We havestayed in many cottages but this was by far the most well equipped and comfortable and cosy. Have enjoyed our week and feel very relaxed and dont want to leave. Will definately book again. A super place to stay, the children loved the freedom of visiting the playing field. We all enjoyed being able to walk to the the Duck Inn. Holkham and Holme beaches - body boarding and channel digging. We live in Cyprus but visit the area several weeks in the year as I have family in Burnham Thorpe - we always rent cottages for our stay, and to date this is the best cottage that we have found. We normally book for 4 weeks over the Christmas period, and very sad that this cottage is not available. A totally glourious week spent in your lovely house. Fabulous weather and beaches, what a joy! Another lovely stay, fab cottage with gorgeous garden. Had a very enjoyable week despite the cold and windy weather. We found the cottage to be very warm and comfortable. Very well equipped and in easy reach of the coast. We enjoyed a good Sunday Roast at Creake Abbey cafe. 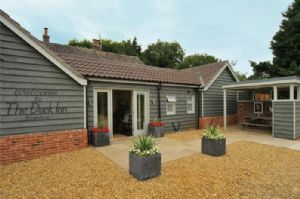 We have had a wonderful week in Norfolk in this beautiful Cottage, so comfortable and so warm. 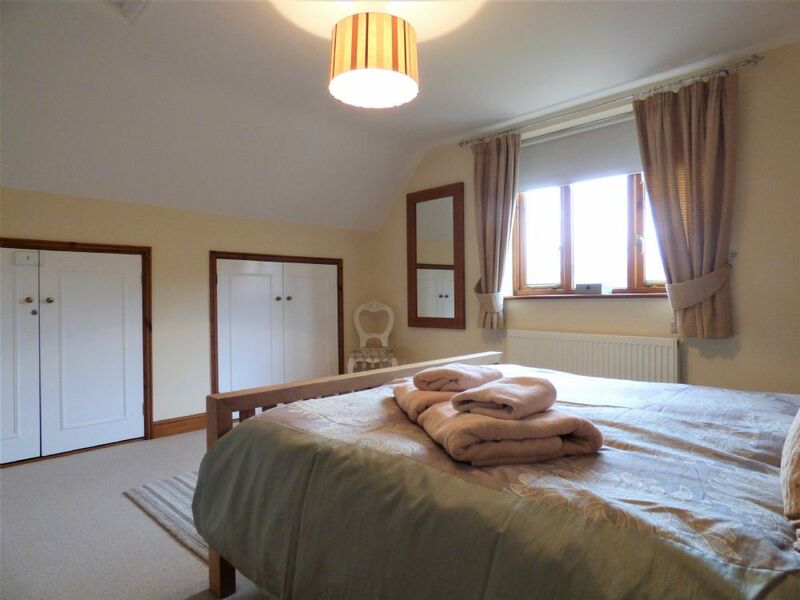 Everything has been so very well though out to make your guests stay as comfortable as possible so very well done. Our dogs loved the garden. Certainly recommend the Duck Inn, great food. We really enjoyed The New Cottage and got to see the Local Barn Owl of the field in front of the house three times!!! The best bits were that the cottage was dog friendly, spacious, warm and in a great location. It was very clean and exceeded our expectations.